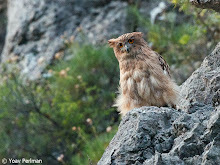 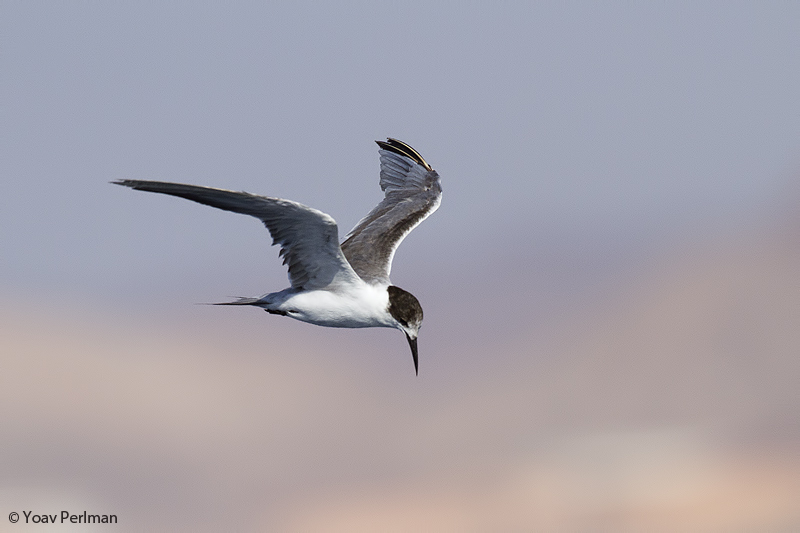 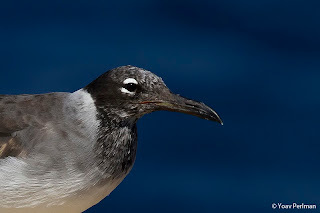 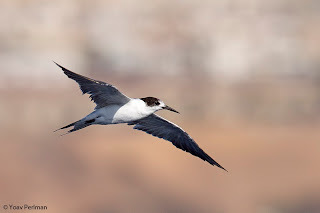 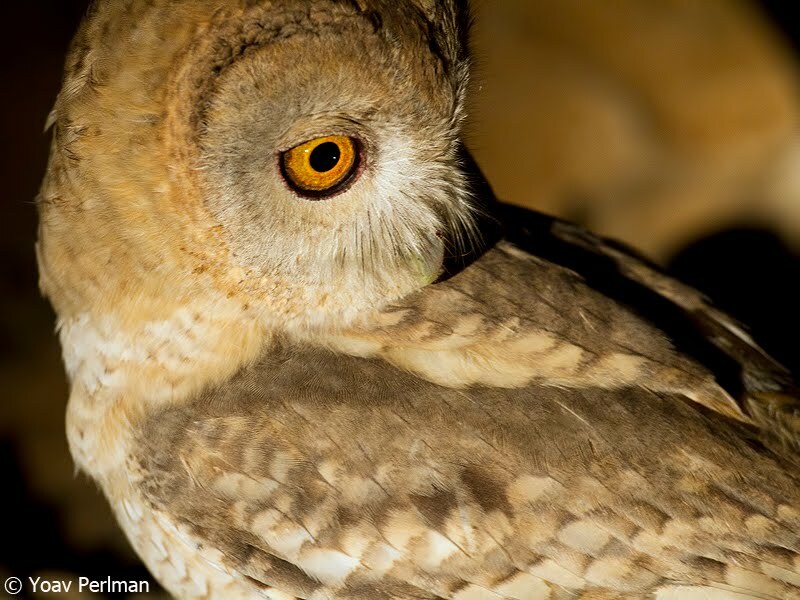 Yoav Perlman - birding, science, conservation, photography: Eilat birding (and family?) 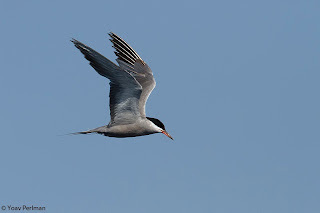 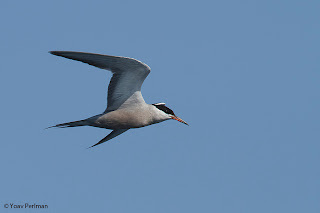 holiday - pelagic - White-cheeked Terns etc. 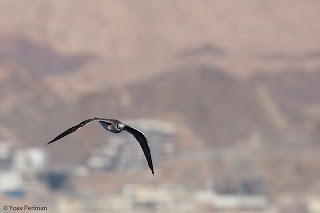 Eilat birding (and family?) 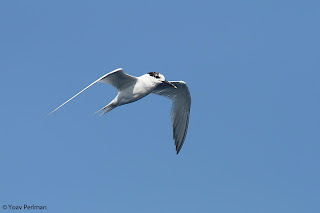 holiday - pelagic - White-cheeked Terns etc. On Sunday 18/8/13 I went out on a mini-pelagic into the gulf on Itzik Cohens' boat (Itzik is a great guy and an excellent photographer as well), with Avi Meir (chum-master) and Itai Shanni. 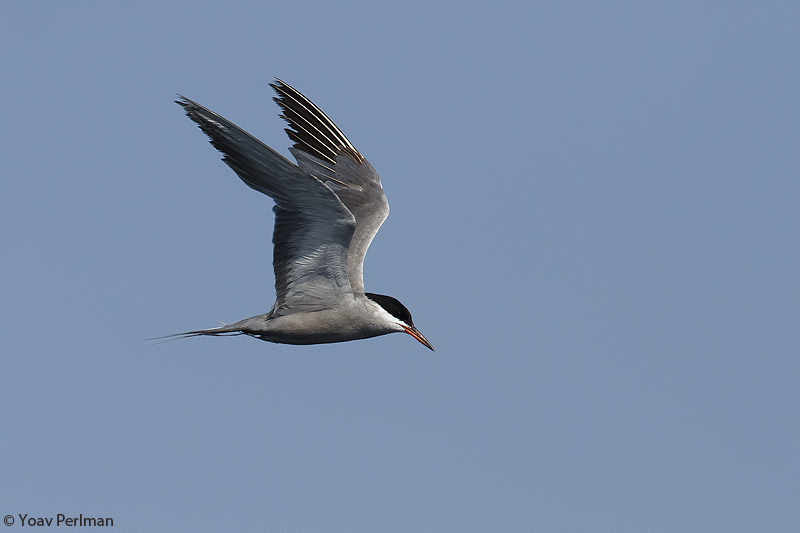 We left early but the first couple of hours were actually very quiet. 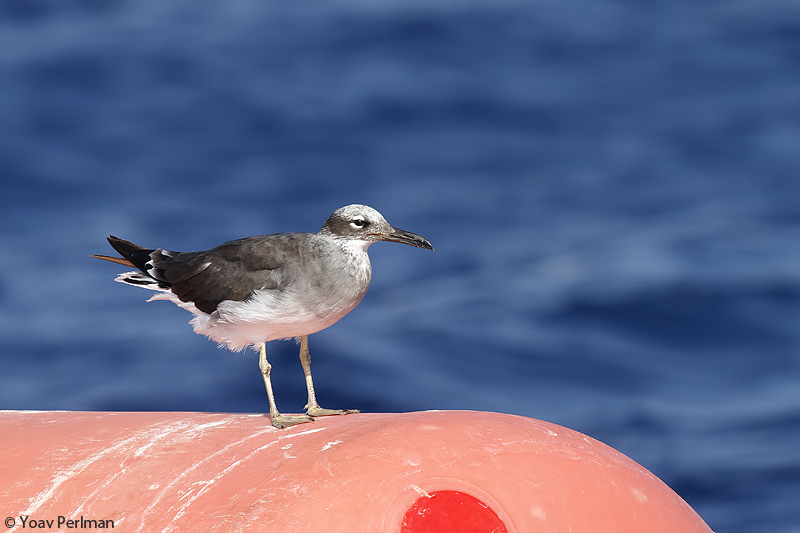 We saw some terns and gulls (including possible views of last week's Arctic Tern), and one Cory's Shearwater, but nothing came in to feed on our tasty chum. 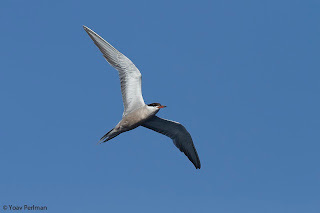 Only after we decided to call it a morning and return to shore, when the sun was already high up in the sky, we noticed many terns and gulls fishing around a small fishing boat - the fishermen were throwing out bait for the fish, and the terns were feeding on that. We had a very good time around their boat until it was too late and we had to head back. 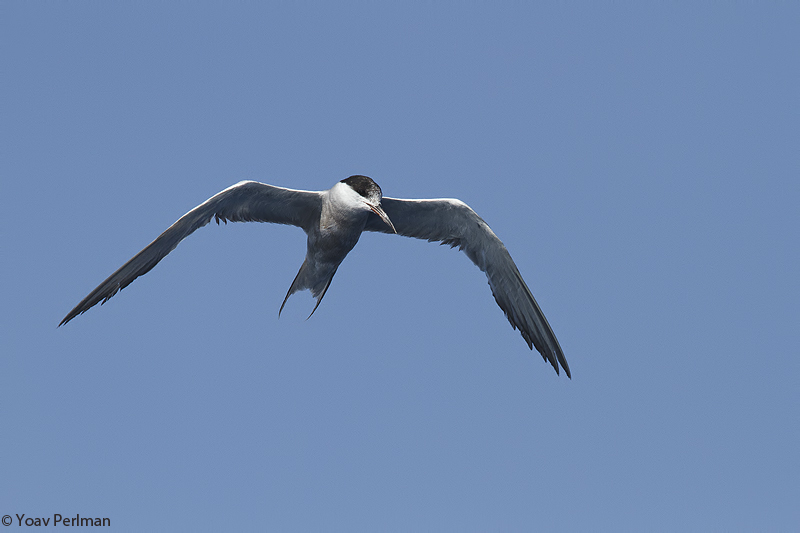 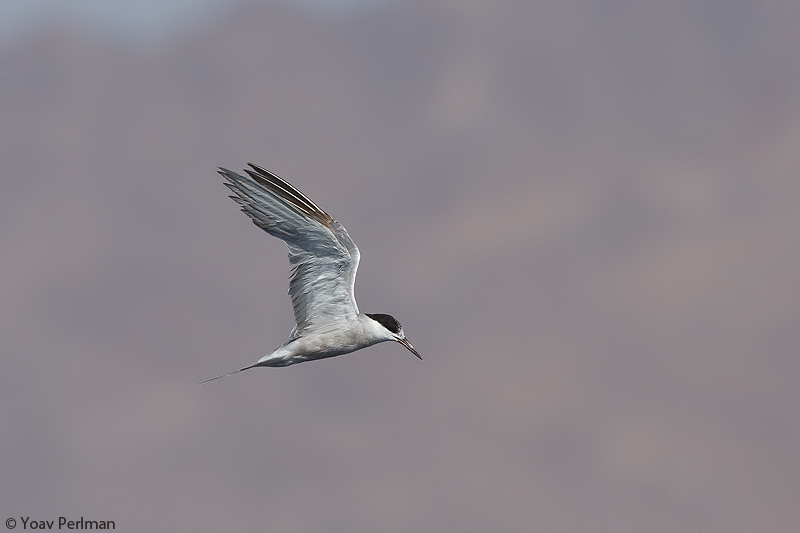 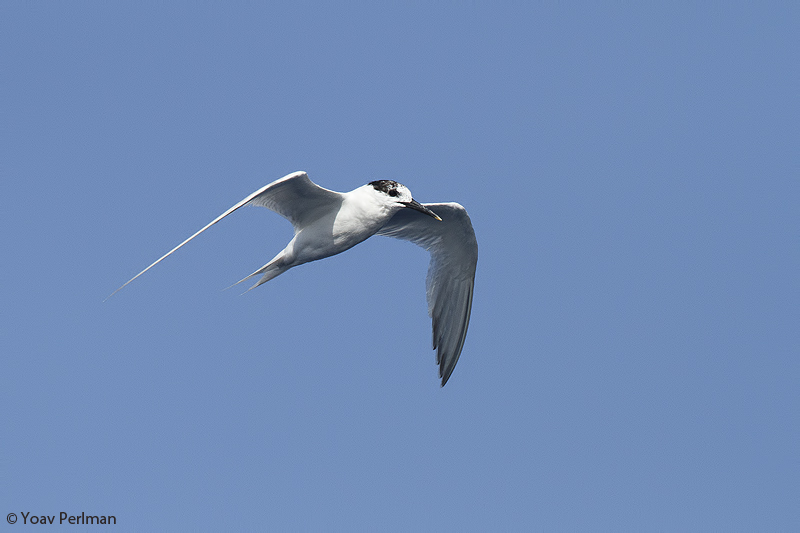 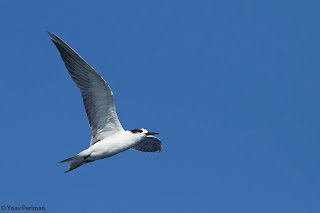 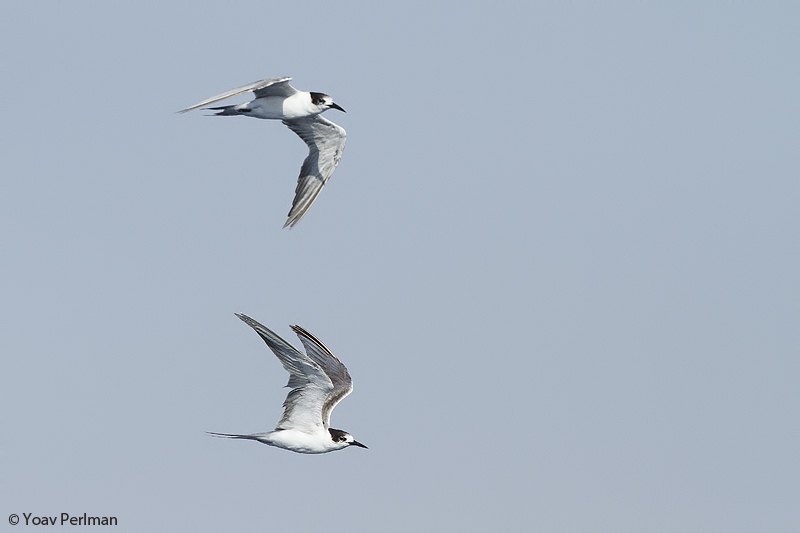 We had about 15 White-cheeked Terns - this is an amazing year for this scarce subtropic tern. 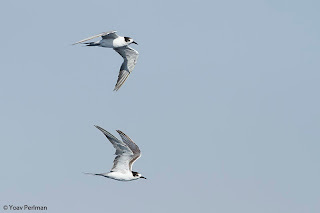 Perhaps this is a result of some serious winter floods that washed huge amounts of organic matter into the gulf, which resulted in huge production of little fish - indeed we saw enormous schools of small fish in the gulf. Especially important ID features are long, slender and slightly downcurved bill, very dark upperwing with prominent dark brown bar on leading edge, and prominent darker grey secondaries. 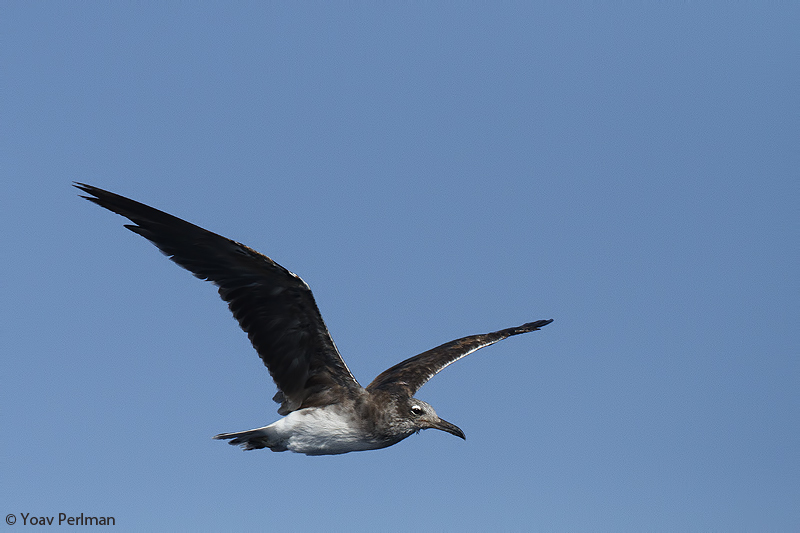 And several White-eyed Gulls. 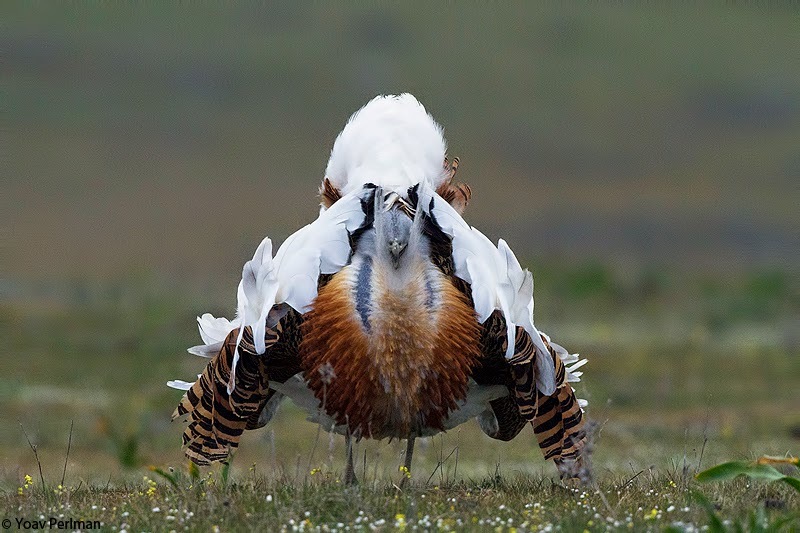 I know little about their moult - they breed late (fledging in September), and don't migrate long distances, so I am not sure whether their moult cycles fit typical northern hemispehere moult cycles. 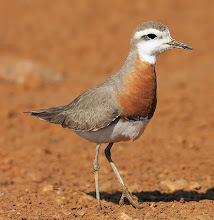 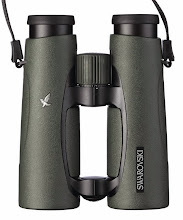 I'm coming out to Israel for two weeks birding 19th Oct ~ 2nd Nov and have a coulpe of questions ..
Where is Ashdod rubbish tip for gull's i've looked on google maps but its not easy to see ..